2017 has been a busy year for Czero so far. Much of what we do involves ground-breaking innovation. Engineering at this level is not only fun for us, it is immeasurably rewarding for a company that’s as passionate as we are about the end result. We thank our clients for the opportunities that lead us to these interesting projects and great work. Energy-related projects continue to draw on some of the most diverse skills of our team. Below are some of our example projects and IP recognition this year. We continue to expand our scope of experience and technical capabilities to more corners of the energy sector. Please welcome our new Business Development director, Mark Pickett. Below, you can read more about Mark and what he brings to Czero. Czero continues to partner with CSU R&D, and we are pleased to move the portable laser monitoring system project forward into the test phase. The objective is to mount extremely sensitive laser emissions sensors on mobile carriers such as UAVs (Unmanned Aerial Vehicles) and service vehicles. Czero has engineered an installation platform that can be securely installed and is extremely lightweight. The device accommodates thermal expansion to 100 microns (about the thickness of a human hair), while managing for vibration, highway speeds and extreme, fluctuating atmospheric conditions. Studies funded by the DOE and executed by CSU have shown that ~0.5% of all extracted methane becomes fugitive, escaping from leaks along the natural gas supply chain to the atmosphere. Czero’s mounting technology enables safer, more cost-effective monitoring of emissions over large areas and has implications for research in agriculture, energy development and distribution infrastructure. UAS (Unmanned Aerial Systems) monitoring opportunities are being explored and developed by various agencies to monitor fugitive methane near wellheads. This technology is also being used to monitor ammonia and determine nitrogen deposition into the environment. For more information about Czero’s work with CSU and other partners on methane emissions, click here or contact us anytime. In April at the SAE World Congress in Detroit, Czero presented collaborative design and analysis work with JP SCOPE, Inc. on a completely new approach to fully variable valve actuation (FVVA). This innovative approach replaces the use of poppet valves in engines with horizontally actuated valves that enable direct electrical actuation, resulting in a significant reduction in power consumption. Czero engineered the head design including multi-physics fatigue analysis, computational fluid dynamics (CFD), detailed CAD work, electromagnetic actuator design, and combustion modeling, in addition to determining the system architecture and controls work, assembling the prototype and performing initial testing. The engineers at Czero have been working on camless valve actuation for more than 20 years and have developed many different prototype engines that are tested and commissioned in research labs and universities, and for OEMs all over the world. If you’d like to learn more about the technology you can read the abstract here or contact us anytime. The onsite reactor engine designed by Czero has recently been delivered to Gas Technology Institute (GTI) for testing. 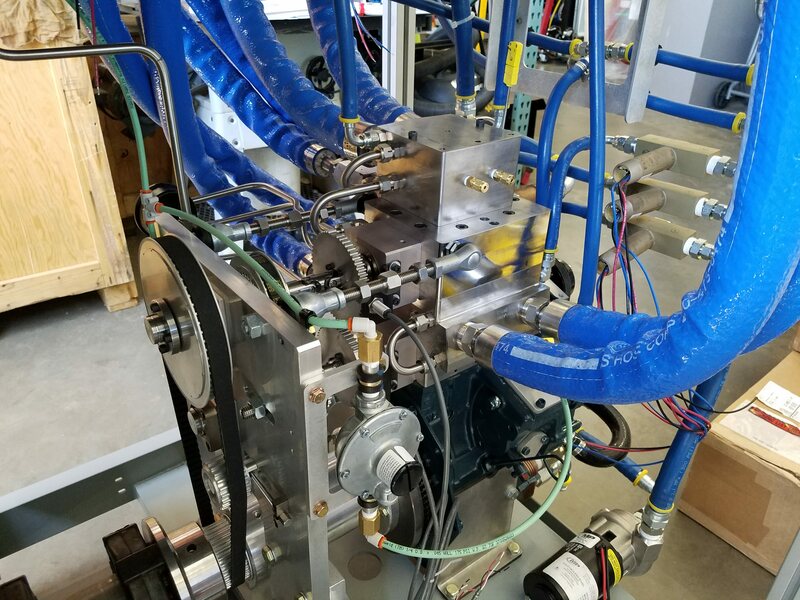 Czero and GTI, along with Oregon State University and EcoCatalytic Technologies, have collaborated on this system for the conversion of stranded ethane and other byproducts of oil and gas extraction. The project is funded by the DOE through an award by the ARPA-E energy initiative. The small-scale, transportable reactor engine essentially acts as a mobile cracking plant to convert separated ethane to ethylene at the wellhead, where it can be stored for transportation. At remote production facilities where a cracking plant is not feasible due to cost, stranded gases normally limit production or are down-graded to lower value products. A small-scale reactor engine onsite could turn the stranded gases into valuable commodities and increase revenue. The project holds tremendous potential payoffs in an industry eager to monetize byproducts that contribute to greenhouse gas emissions. Initial testing has demonstrated a high conversion ratio, with potential to increase conversion yields substantially. You can learn more about this project and capture and storage of natural byproducts here. US9752273B2 “Barrier densified fluid cleaning system.” For more information, click here. US9664005B2 “Manifolds for providing hydraulic fluid to a subsea blowout preventer and related methods.” Click here to view the PDF. US9388658B2 “Pipe cutting apparatuses and related methods.” For more information, click here. US9637714 “Diffuse Light Extended Surface Area Water-Supported Photobioreactor.” For more information click here. US9453193 “Systems and methods for delivery of gases to algal culture.” For more information, click here. US9528465B2 “Internal Combustion Engine for Natural Gas Compressor Operation.” For more information, click here to view the PDF. Mark Pickett comes to Czero with 22 years of experience and leadership in various aspects of synthetic structural and ballistics materials technology. He began his career at Michigan State with a degree in chemical engineering, and went on lead in engineering for defense, law enforcement, and ballistics systems as well as sustainable materials. 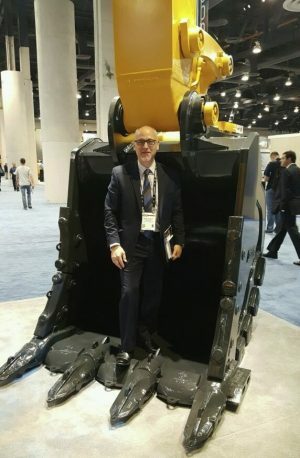 Learn more about Mark, an engineer and leader, his passion for impactful work, and how he brings commercial technical solutions to industry needs.